WWE has confirmed two title matches for Sunday's Royal Rumble pre-show. 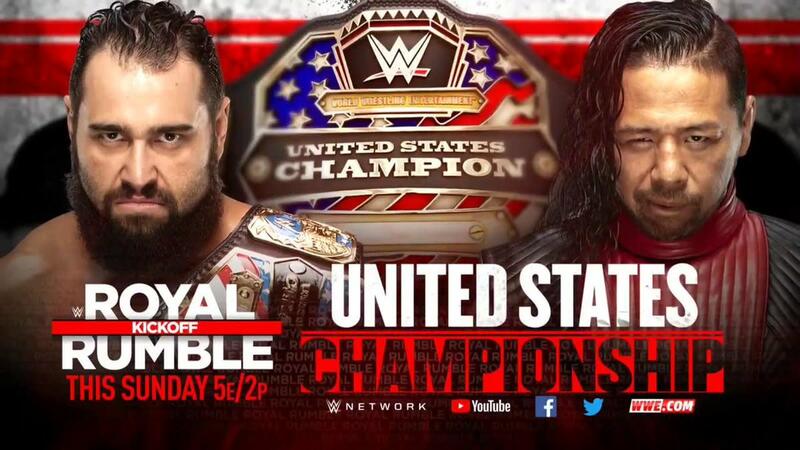 On SmackDown's go-home show for the PPV, it was announced that Rusev's United States Championship defense against Shinsuke Nakamura will be airing on the Royal Rumble pre-show. Cruiserweight Champion Buddy Murphy will also defend his title against Kalisto, Akira Tozawa, and Hideo Itami in a fatal four-way match on the pre-show. Both matches had already been announced for the Royal Rumble before being confirmed for the kickoff show. The two-hour pre-show will begin at 5 p.m. Eastern time on Sunday. The panel for the first hour will be Jonathan Coachman, Beth Phoenix, Booker T, and Jerry Lawler, with Shawn Michaels and David Otunga replacing Booker T and Lawler in the second hour. There will also be another panel with JBL and Charly Caruso.